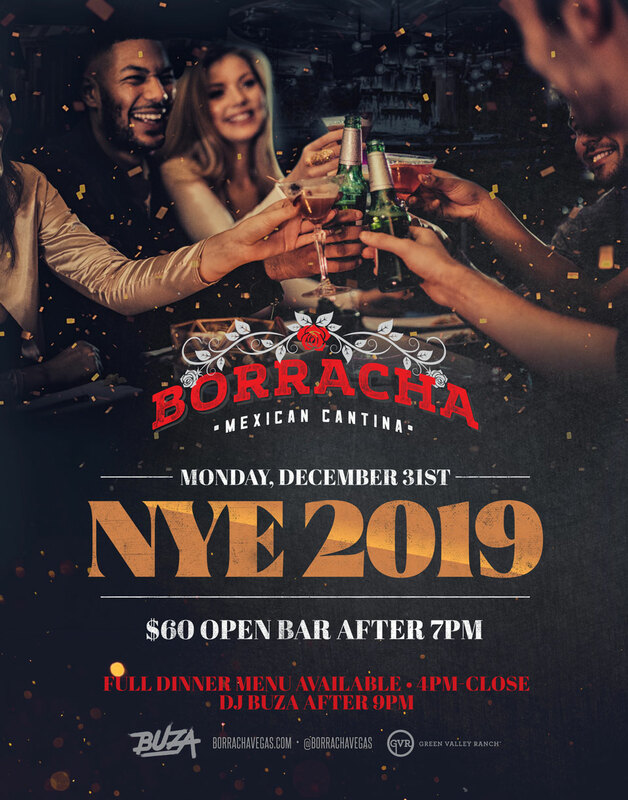 Make your 2019 celebration a memorable one at at Borracha Mexican Cantina at Green Valley Ranch. Kick off the night watching all the Football Action with our full menu and drink specials available starting at 4pm. From 9pm on Borracha will offer a $60* Open Bar package while DJ Buza takes the party into the New Year! Would you like to book a table reservation for dinner? Please use the above Dinner Reservations form. Thank you!